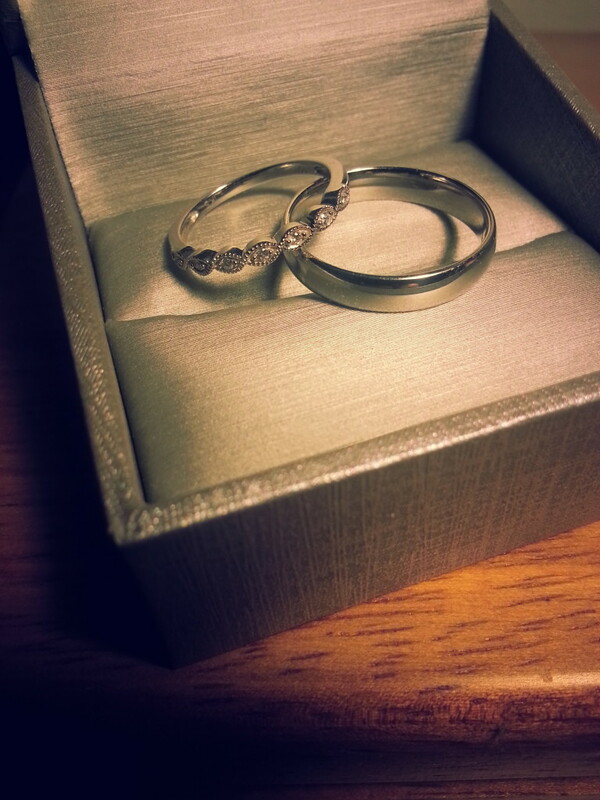 Wedding Bands! – The FunYuns! Oh YEA! We finally got them. Do you have any idea how hard it is to find something so simple yet unique? Or something you just plain like? There’s way too many options out there.I didn’t want anything special. My stubby hobbit formed fingers only look good in one inconspicuous style. But for Jane, there’s got to be a special flair, a vintage and refined look that would perfectly compliment her contemporary looking engagement ring. There’s an actual science to this stuff apparently. 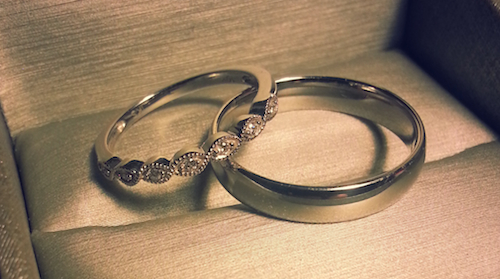 But we finally found our pair at the ZALES outlet store. Great insurance policies as well, so I definitely recommend it to anyone who is in the market for one. When I first heard a friend mention going to the outlet for wedding bands I was like “hmmmm naaaah”, but low and behold he was a genius. Anyway, here’s a look! By the way, how many of you HONESTLY knew that the wedding band was supposed to go under the engagement ring and not over it on the finger? Learning…..